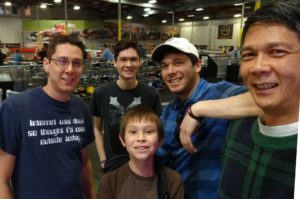 Today Tim and all of the boys enjoyed Mom and Dad’s Christmas present to the boys. 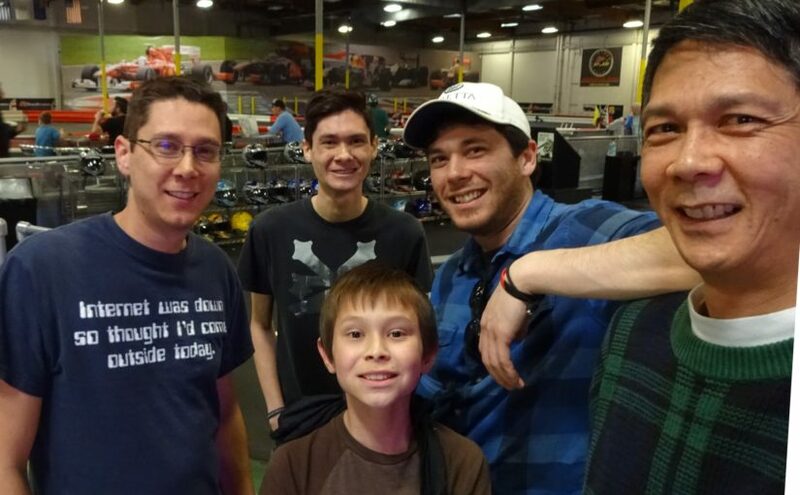 They went go-kart racing (electric cars) and then ate out. 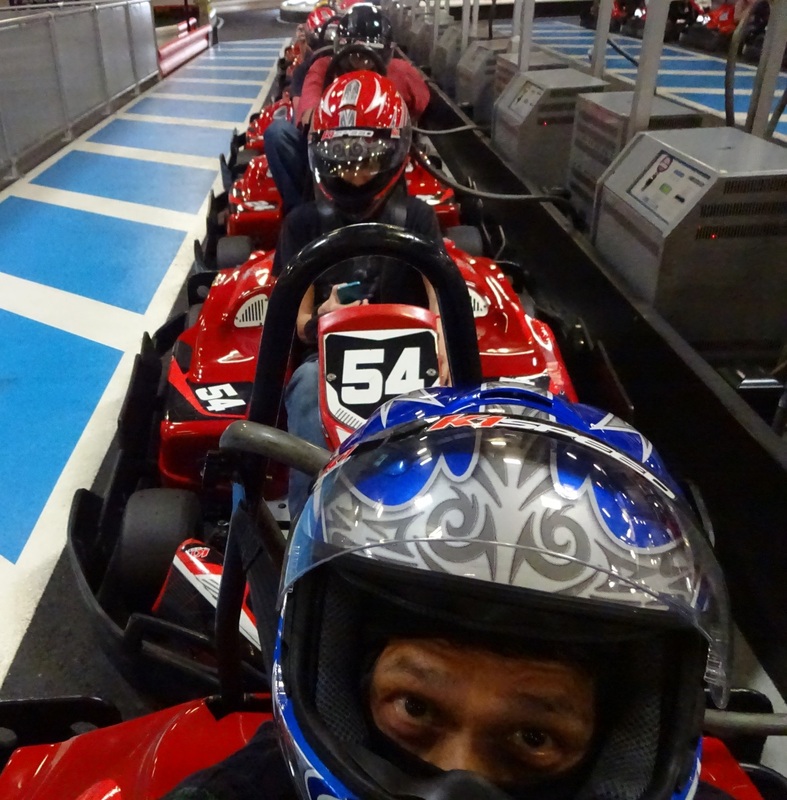 Tim and Jeffrey had raced before but it was the first time for the others. 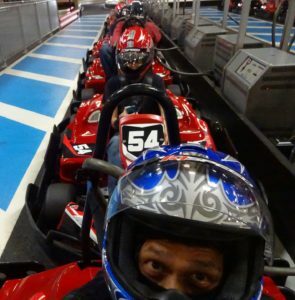 Josiah was just tall enough to race with the adults instead of the juniors. Although we weren’t sure how that would turn out, he did very well considering that it was his very first time driving anything like this. Here we are getting ready for our first race. Tim in the lead car with Jeffrey and the rest lined up behind. Click photo for full size. 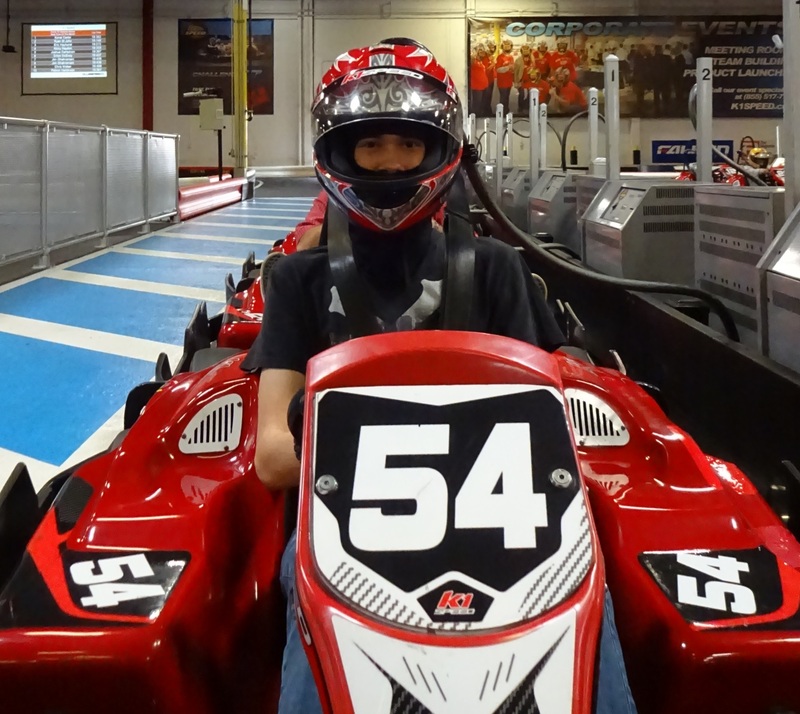 Jeffrey getting ready to go at K1 Speed. Click photo for full size. A photo after our second and final race of the day. Justin, Jeffrey, Josiah (front), Jason, and Tim at K1 Speed. Click photo for full size. 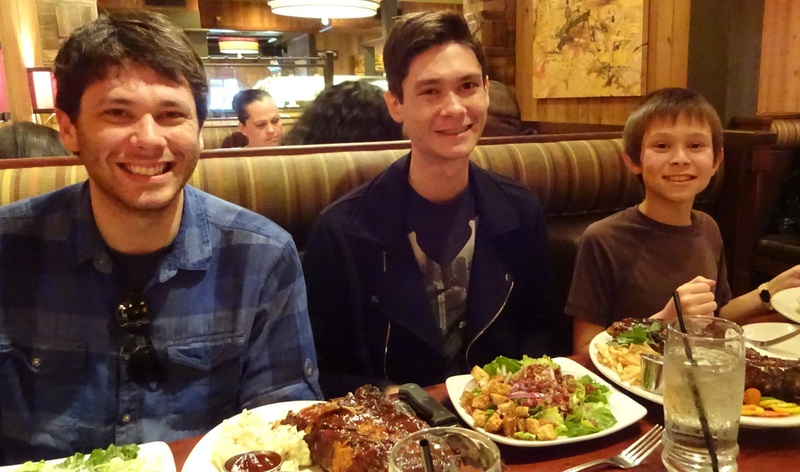 After racing, we headed to Claim Jumper Restaurant for lunch/supper. By the time, we got there the time was about 4:00 PM. 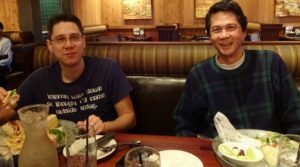 Jason and Jeffrey got ribs; Josiah got mac and cheese (with soda, fries, and apple slices with caramel sauce). Jason, Jeffrey, and Josiah at Claim Jumper. Click photo for full size. Justin got a club sandwich; Tim got a veggie wrap. Justin and Tim at Claim Jumper. Click photo for full size. We got two desserts: Raspberry Cheesecake and the Chocolate Motherlode Cake. We took most of the dessert home. 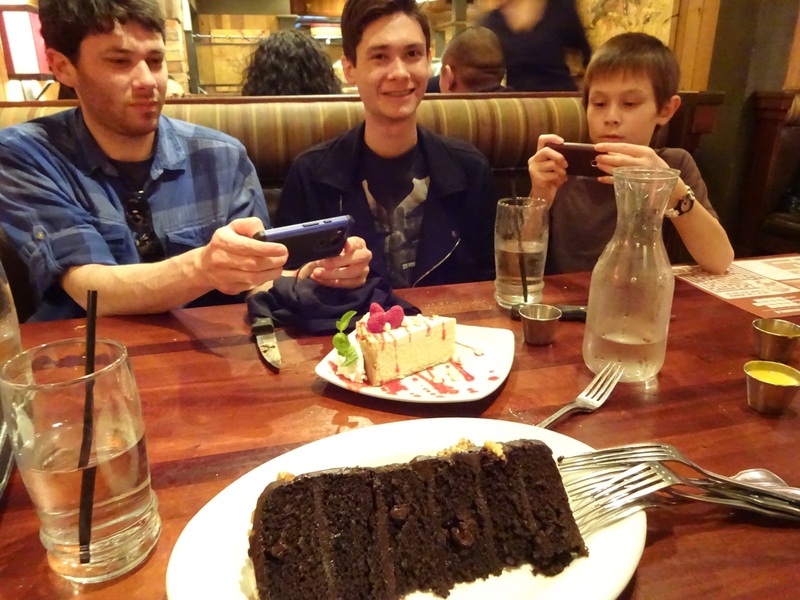 Taking pictures of the Raspberry Cheesecake and Claim Jumper’s famous Chocolate Motherlode Cake. Click photo for full size.